The British and French have overrun most of the German colony of Kamerun. The garrison of Mora is the only German force left in the colony. This northern outpost has been under siege since shortly after the war’s start in 1914. 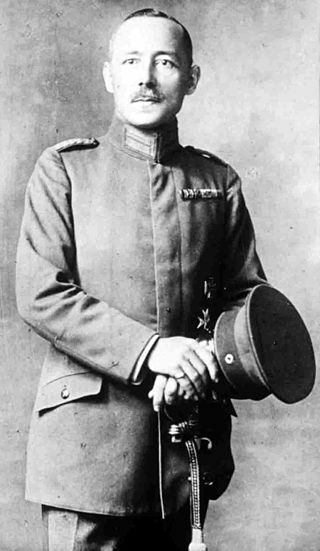 Now Major Ernst von Raben, German commander at Mora, accepts the inevitable and agrees surrender terms with the Allies. Raben and his European officers will be interned in Britain. The terms for his African soldiers are generous. Not merely are they allowed to return to their homes unmolested but, at Raben’s request, the British also pay their back wages. Kamerun, Togoland, and South West Africa are all now in Allied hands. With Germany’s Pacific colonies also overrun, unconquered German East Africa is all that remains of the Kaiser’s overseas empire. In Kamerun the tide of war has turned against the Germans. British and French forces are advancing on their southern base of Yaounde. In the north of the country, German resistance has been eliminated, save at Mora, where German forces are under siege. The situation in Mora is now rather desperate. The defenders are short of food and medical supplies. But they are still able to obtain some victuals from native villages near the German positions. Whether the Kamerunians supply the garrison with food out of sympathy for their colonial masters or because of friendly relations with the Africans making up the bulk of the German force (or whether the Mora garrison seizes the food by force) is not recorded. Either way the supplying of food to Mora by the natives infuriates the British and French besiegers. Today the British put the village of Wudume to the torch to punish its inhabitants for assisting the Mora defenders. In northern Kamerun French and British forces are besieging the German base of Mora. 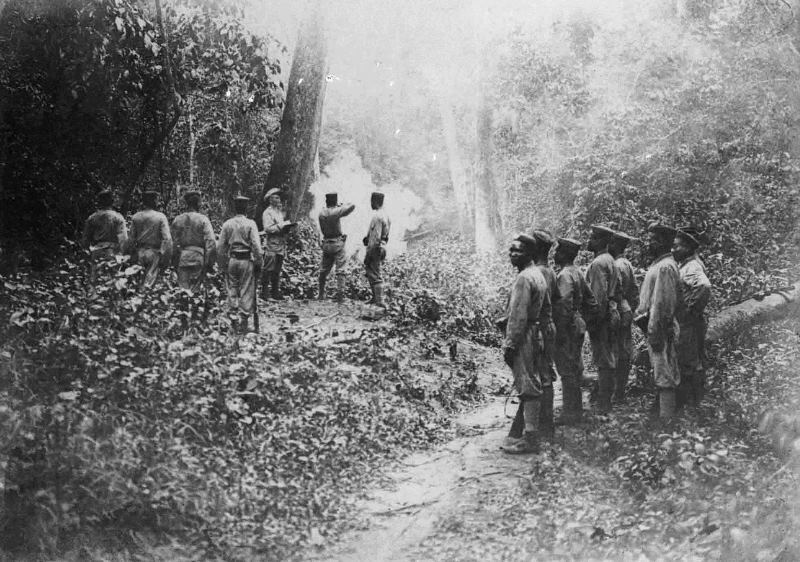 French troops have skirmished unsuccessfully with the Germans in the outlying village of Kilwe. Now the British decide to have a crack at Mora itself. After an overnight bombardment they launch an assault on Mora’s northern defences. The attack fails, with the British suffering some 16 men killed (one officer from Britain itself and 15 African troops). By the standards of the war in Africa to date, these are heavy casualties. For their part, the Germans suffer five men wounded. The British are not for giving up. They launch some more attacks once night falls, but in the darkness the assault troops get lost and are unable to find their way to the enemy lines. That at least is what they tell their commanders. General Frederick Cunliffe commands the Allies at Mora. After the failure of the British attempt to storm the town, he decides to tighten the siege around it and batter the enemy with ever increasing artillery bombardments. In West Africa, the Allies have still not been able to eliminate German resistance in Kamerun. In the north of the country, German forces are under siege in the town of Mora. The Germans are short of food but are able to feed themselves by raiding Allied positions. Some of the African people in the vicinity of Mora are also supplying the Germans with food, perhaps because the rank and file of the German force is made up of locally recruited men. 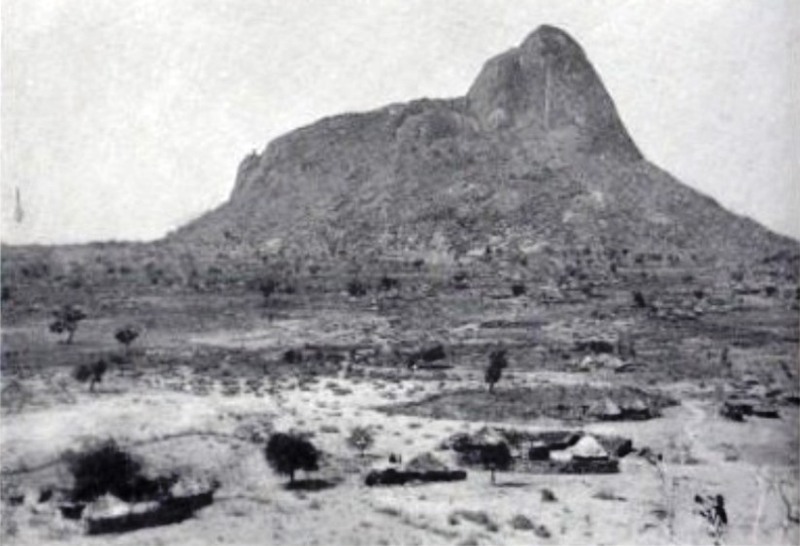 French troops besieging Mora have already made an ineffectual attempt to take the village of Kilwe, whose inhabitants are sympathetic to the Germans. Now they have another go. After first bombarding the enemy with light artillery pieces the French infantry attack. But the German defenders of the village are too much for them. The French are driven back, suffering the loss of seven men dead (a sixth of the attacking force). In the south of the vast colony the Germans have another force based in Yaounde (also known as Jaunde and Yaunde). The Germans here are not under siege, protected from the attention of the Allies by the space separating them from enemy units and the country’s difficult terrain. But now with the end of the rainy season movement through Kamerun is easier. The Allies make preparations to send columns to capture Yaounde and eliminate the Germans’ southern column. The Allies are beginning to get the upper hand of the Germans in the West African colony of Kamerun, but the Germans and their African servants are not giving up yet. In the north of the colony, the Germans are bottled up in fortified positions at Mora. The Allies have been unable to take Mora by storm and are trying to starve out the Germans. However. the Germans are somehow able to survive on very short rations. They supplement their own food stocks by raiding the Allied lines and stealing theirs. The Germans in Mora are also able to obtain some supplies from African civilians in the surrounding area. The Kamerun natives’ support for the Germans in Mora angers the Allies. In an attempt to put a stop to this kind of nonsense, a French force attacks the village of Kilwe, where the locals have been assisting the Mora garrison. Unfortunately for the French, a German detachment from Mora counter-attacks, successfully chasing them away from the village. In this terrible defeat the French suffer the loss of one soldier.